Annisquam Herb Farm: When to plant seeds . . . When to plant seeds . . .
Mike McGroarty is a fountain of information! Here are two article of interest this time of year. 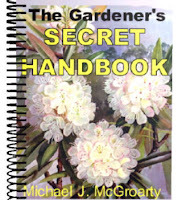 Sign up for his free news letter and get this ebook, The Gardener's Secret Handbook.